You can compare anything and everything apart from destiny. Destiny is found only in God, no wonder why it’s a mystery to many. Many search for their destinies but never find it, they fail to start with the root of it, God. When you’re a child of destiny it’s pretty difficult for others to figure you out, look at the life of Jesus Christ and you’ll understand. Don’t worry if your destiny is hidden, its in a safe place. A child of destiny boasts in The Lord and not in their self. God always shines through your destiny. Your time of shining will come for His glory. You just have to wait on The Lord. There are many who have found the prides of life, but few have found their destinies. Your own will is the pride of life, if you walk in the perfect will of God that’s destiny. You are destined to fulfill what God has called you to do. Success is found in the perfect will of God. Find your destiny through Christ, and let His Light shine. Once your destiny is rooted in God, no one can steal it from you. Those that walk in the perfect will of God are often attacked by the enemy, and those who are proud are often embraced by the enemy. The enemy tried to destroy you, but he cannot. Children of God are destined for greatness. There is no success without Jesus Christ. That doesn’t make any sense does it? You have everything so how can you not be successful? The everything you have is nothing if you do not have Jesus Christ then there is no life. Forget what you’re seeing now, this life is temporary. God promises you eternity, and Jesus is the only way to get there. You have the right to question the Christian whose friend is satan. Too many believers are making it seem like it’s ok to be lovers of this world. A child of destiny is bold. Children of God stand for righteousness, and are defenders of His Word. If you’re a follower of Christ be prepared to be rejected. When you walk with The Lord, the world will reject you. The world hates righteousness, but God will never leave you nor lead you astray. 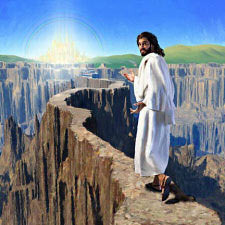 In these last days it is important that you make sure you are on the right track with God. Where He moves make sure you move with Him, and where He stays make sure you stay with Him. People will leave you along the way don’t worry, some people have been sent to destroy your destiny. Destiny destroyers cannot stand where The Lord is taking you. Be very weary of destiny destroyers, be discerning and pray. Forget about fame and popularity, if you want to fulfil what The Lord has called you to do then you better do it to glorify His Name. There is a difference between pride and destiny. Pride seeks the attention of man, destiny seeks the attention of God for it can only be found through Him. Fulfilling your God given assignment is what’s important. Don’t worry about what people will say or think about you keep your eyes fixed on who matters most, God. Be a God pleaser and not a people pleaser. Remember that not everyone is going to understand you. If Jesus’s own people failed to recognise Him then how much more you and I whom are followers of Christ? A child of destiny is mysterious. God knows who you are, so you must recognise that even if others fail to see it. Everyone is not going to understand where The Lord is taking you and there is nothing wrong with that. What matters is what God sees, and what God is telling you. It’s important to know who you are in Christ, to discover who you are in Christ you must start within His Word. His Word reveals Truth, and in His revealing Truth He reveals you. The enemy will try to discourage you to deter you away from your God given destiny, but don’t give him that satisfaction. Stand, stand for righteousness, stand for Truth, stand for what God has called you to do. You are a child of destiny, be all that The Lord has called you to be. There will always be that one person that the enemy uses to say something negative to you to discourage you. There will always be that one person that is close to you but fails to see where The Lord is taking you. That person may be your closest friend, or it could even be a family member. No one knows you like the way God knows you. This is why I say destiny is a mystery. When God’s Hand is upon you, it’s pretty difficult for people to try to figure you out. People of destiny they may know a lot of people but they have very few close friends, and these friends are connected to their destiny. You only have to look at the life of Jesus He is our perfect example. All of them were connected to Jesus for a purpose. Even Judas Iscariot the betrayer. As much as you need destiny helpers, you also need at least one destiny destroyer. As crazy as it may sound a destiny destroyer actually propels you to your next level, it is the final push. What the enemy meant for bad, God will change it for good. A destiny destroyer was Judas Iscariot, satan used Judas to attempt to destroy Jesus, but in his attempt to destroy Jesus he actually contributed to the destruction of sin. You see the enemy is not so smart after all. Destiny destroyers are foolish, they fail to understand how much power you have. Jesus may have died, but He most certainly rose again. You can never destroy a God given destiny. After the destiny helpers you need at least one destiny destroyer, to propel you into your God given destiny. Why didn’t God just destroy Pharaoh after He had called Moses to set the Israelites free? Your enemies must see and know that God is alive, He is all powerful, all the glory belongs to Him, and He reigns on high. Long suffering that’s a fruit of the Holy Spirit you know. There will always be that one person sent to say negative things to discourage you. 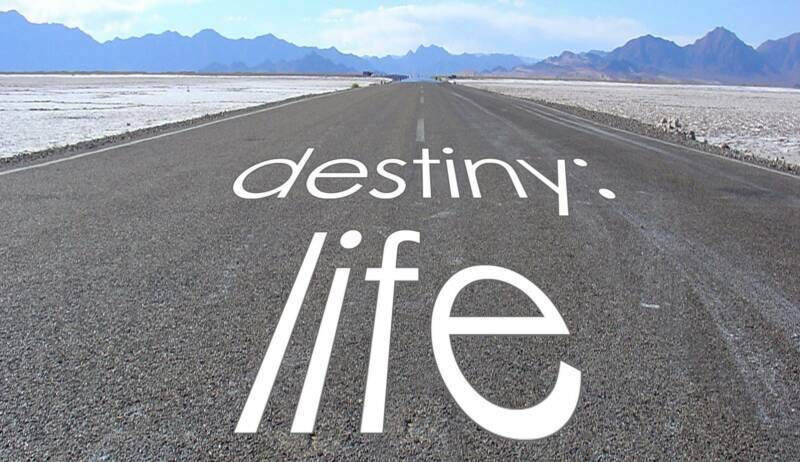 Know that when that destiny destroyer arises, you are just about to make it into your promised land. When His Hand is on you, you are well hidden in Him. No one can steal your destiny, because His Light shines through you. People of destiny are special, they are unique, radical, they bring forth a change. Many Hebrew first born baby boys were destroyed, but Moses was not. He couldn’t be, he was hidden. Moses was a man of destiny, and no plan of satan could destroy it. 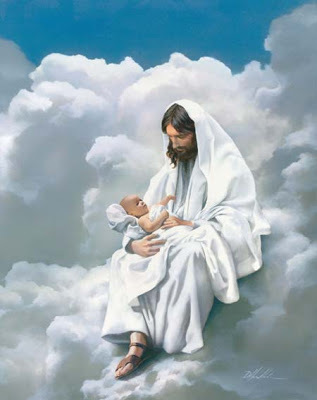 The same with our Lord Jesus Christ, the enemy attempted to destroy all first born baby boys, but he was unable to destroy Jesus. satan can never destroy a God given destiny. You must realise that as long as you abide in the secret place of the Almighty, you are safe in His arms. Forever The Word of God is settled. The Spirit of God is unfamiliar, familiar spirits are of the devil. The Spirit of God is unpredictable, satan can never predict the ways of God. His ways are higher than human understanding and reasoning that is why God is wisdom, and wisdom begins with God. True miracles come from God. Power belongs to God, and He has given His children that same power dominion and authority. Since the world is unfamiliar with God, don’t be surprised if the world is unfamiliar with you a child of God. The coming of Jesus Christ to save the world from sin had been prophesied since the beginning of time, yet when the appointed time came for His arrival the world was unfamiliar with Him. The world was blind, and religious leaders failed to recognise Him as the Messiah. The only people that recognised Jesus as Lord and King were those who knew God. When you know God then you have a true revelation of who He is. It’s not everyone that should know what God says concerning your life. When you know who are in Christ Jesus then no one can tell you otherwise. No one can make you feel less than who God says you are, and the enemy cannot make you doubt yourself. satan will try but he will surely fail. He entrusts His Work to those that recognize Him as King of kings and Lord of lords. Peter was more than a disciple, he was a friend of Jesus because he knew Him, and he was a friend of destiny because Jesus knew him. God knew Peter before he was formed in his mother’s womb just like you and I, and He told him that he would become a fisher of men, and indeed that’s what he became. The Lord built the church upon him. The Lord wants you to forget about your current circumstances. He is the hope of glory. Peter was more than a fisherman. David was more than a shepherd boy. Gideon was more than the least amongst his clan. 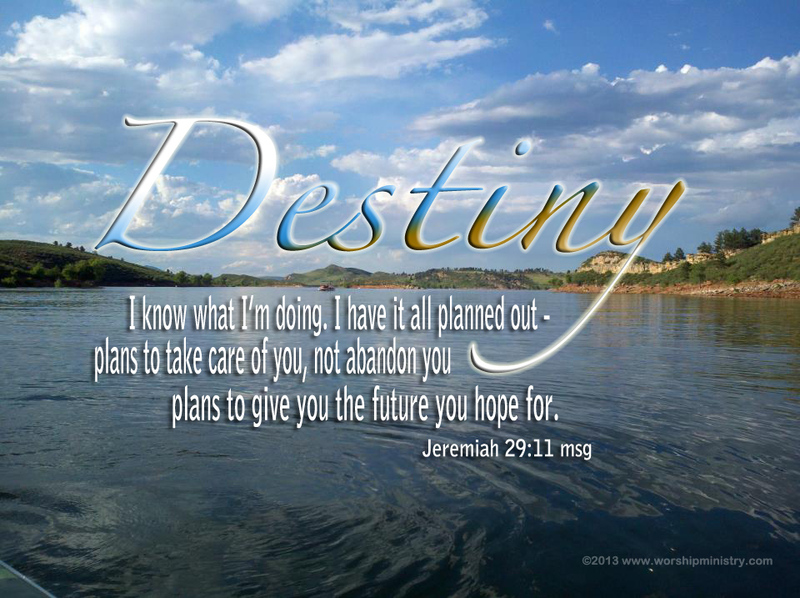 Your destiny is hidden in Jesus, do not worry He is protecting you. When you walk in your God given destiny, then He entrusts you with His work. No weapon fashioned or formed against you shall ever prosper. The Lord is your Shepherd, your guide, and shield. A child of God is a child of destiny, and The Lord is always with you. Jeremiah was right when he said The Word of God is like a fire shut up in his bones, and he could not stop speaking his Word. Only few understand their destinies, and many do not even know that they have a destiny. Many do not know that they have a destiny, because situations have clouded it. They expected Jesus to come in an extravagant way, perhaps from a royal home and not the son of a carpenter. That’s the mindset of a worldly man, not a man who has the Spirit of God. Nathanael said can anything good come out of Nazareth? But Phillip said come and see. Can you see the difference between the one who knows God, and the one who doesn’t? People who are familiar with the world are blind to the things of God. Familiar spirits are of satan, and satan is the prince of this world. Religious leaders did the same they found it hard to figure out who Jesus Christ was, and failed to see that He is the Messiah. That’s why there is a big difference between religion and Christianity. Religion is no different from the world. Christianity is a relationship, we have a direct line to God through Jesus. When you know Jesus then you can see the promises of God. A child of God is a person of destiny, but today people are saying can anything good come out from you? They look at your background, they judge you from where you come from and they cannot look past it. Be careful of the way you treat people. If you judge people based on the way they look, then you may miss your breakthrough. Destiny helpers are often the people that you least expect. A person of destiny will face harsh criticism. A person of destiny will face trials and temptations. A person of destiny is destined to overcome them all. A child of destiny is often placed in uncomfortable and challenging situations. A child of destiny is adaptive to change. A child of destiny is a child of promise. Moses was a child of promise. God used Moses to lead the Israelites to their promised land. A child of destiny is blessed and highly favoured. Abraham was blessed and highly favoured. Even at the birth of Jesus Christ He was blessed and highly favoured. Wise men came in search of The King, and blessed Him. If you are a child of God then rejoice for you are a child of destiny, and a child of destiny is blessed and highly favoured. A child of destiny puts their hope and trust in The Lord. A child of destiny waits on The Lord before they make any decision. A child of destiny adheres to the Word of God. Child of God, begin to walk in your God given destiny.